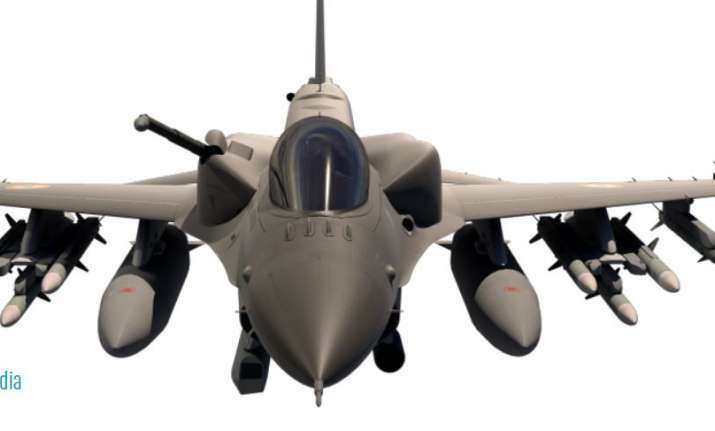 Lockheed Martin during the Aero India show in Bengaluru in February unveiled the F-21 multi-role fighter jet for India, to be produced locally. The F-21 multi-role fighter jet will give India a "significant edge" with greater standoff capability, American defence giant Lockheed Martin has said and claimed that producing it locally will also strengthen the country's integration into the world-wide network of advanced fighter aircraft technology. The Maryland-based company, which had earlier offered its F-16 fighter jets to India, said the F-21 addresses the IAF's unique requirements and integrates India into the world's largest fighter aircraft ecosystem. Lockheed Martin and Tata Advanced Systems would produce the F-21 in India. Vivek Lall, vice president for strategy and business development, Lockheed, said, “While it is inappropriate for us to compare specific capabilities, the F-21 will give India a significant edge with greater standoff capability, greater staying power with less fuel burn, and network data linking capabilities across all platforms. The tactics India employs with the F-21 will also be different - uniquely developed by the Indian Air Force, he said. "The F-21 will meet all of India's performance, capability and advanced technology requirements - the same requirements all other 4th generation competitors are offering. As we pursue cutting-edge technologies for the F-21, some capabilities may be evaluated as discrete, integrated functions,” Lall said. Refuting reports that the F-21 fighter jet is rebranding of the F-16, Lall said that while aircraft structures may look familiar, the differences become clear when looking at the unique capabilities of the F-21. This includes an Advanced APG-83 Active Electronically Scanned Array (AESA) radar, which has detection ranges nearly double that of previous mechanically scanned array radars and the ability to track and attack more targets with higher precision, he said. It has an Advanced Electronic Warfare (EW) System, developed uniquely for India, that provides enhanced survivability against ground and air threats; Long-Range Infrared Search and Track (IRST), enabling pilots to detect threats without detecting them and Triple Missile Launcher Adapters (TMLAs) allowing the F-21 to carry 40 per cent more air-to-air weapons, he said. “The F-21 proposal is unique in that the F-21 production line will be in India, and Indian industry will also be integrated into the global F-16 production and sustainment ecosystem. Approval by the US Government for such an important strategic move signals a significant development in US-India relations,” Lall told PTI in an interview. "The unmatched ecosystem we will partner with Indian industry and Lockheed Martin’s top suppliers to develop will further strengthen India's integration into the world-wide network of advanced fighter aircraft technology and cutting-edge production and sustainment,” he said. The F-21 also demonstrates Lockheed Martin’s commitment to India: to deliver an advanced, scalable fighter to the Indian Air Force that also provides unrivaled industrial partnership opportunities, he asserted. Responding to a question on recent controversy surrounding F-16 aircraft, Lall said it is not for Lockheed to comment on any such matters, but the company is confident the F-21 is the best solution to meet the Indian Air Force’s capability needs, provide 'Make in India' industrial opportunities and accelerate India-US cooperation on advanced technologies, including but not limited to fighter aircraft.